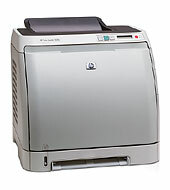 In September, I bought a new HP Color LaserJet 2600n printer that I found out about on slickdeals.net. The deal has obviously expired by now (sorry). The printer is great. My wife's Windows computer and our Windows laptop and my Mac OS X laptop can all print to it without any problems. But, I had a constant problem with printing from my OpenBSD (now 3.9-beta) desktop. Enter foo2hp. To make package installation easier with OpenBSD, I've created a shell script called pkg_find. With this script, you can run "pkg_find firefox". You will then be presented with a list of packages matching the string "firefox" (currently only one). You can then type in the number of the match to install that package. If there's only one match, you will be prompted (y/n) to install that package.